Over on the AccursedRPG blog, we did a brief entry about the release, expressing our gratitude to everyone who has helped, and links to galleries for the contributing artists. We still have a lot of work remaining in the Accursed project, including an upcoming Print on Demand release, but we've achieved a major milestone with this release, and we're very happy to have done so. Good gaming and happy holidays! I'm currently looking at a deck of cards with the Accursed logo on the back and artwork from the game book on the faces. It's pretty gratifying to see that the project has led to the creation of a physical product. Obviously there are many more to come, and this is just a first step. But it's a step we're very excited to have taken. The standard suit poker deck is now for sale. We offer both a PDF version suited for use with Avery Business Cards as well as a print on demand version. The PDF is $4.99, the print + PDF is $9.99 (plus shipping). Kickstarter backers who chose this Add-on should already have their coupons. We've already ordered proofs of another poker deck, and we're in the final push to get the ebook together, so that we can order proofs of the printed version of that as well. We're currently working on the final stages of completing the Accursed core book. We're just waiting on a few last pieces so that we can assemble everything into the game book that we hope will exceed everyone's expectations. Until that's complete, here's something that might pique your interest. The introductory fiction from Andy Chambers (Kickstarter Stretch Goal #2) had been received and recently approved. We took a little bit of time today to convert that into an ebook format. We've now got it in both .epub and .mobi (Kindle) formats. 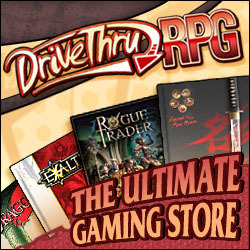 Then we went ahead and uploaded it to DriveThruRPG. Because the introductory fiction is part of the setting book, its development costs were already covered. With that in mind, we've listed the book as Pay What You Want, with a default price of $0.00. So, just click the link below to get to the book. Then add it to your cart, entering whatever value you think is fair (if you're seriously considering buying the game book, we don't expect compensation for this). You can then complete check out and download the two different versions of the file. If you don't have an ereader (or an ereader app for your smartphone), there are a number of different browser plug-ins that can open up the file. (I use epubreader.) A quick google search on "epub reader" should provide you with some options. If you've got a great one to recommend, please mention it in the comments. We hope you enjoy the short story!